Jigsaw puzzle for Bertram Mills Circus, Great Britain, 20th century. 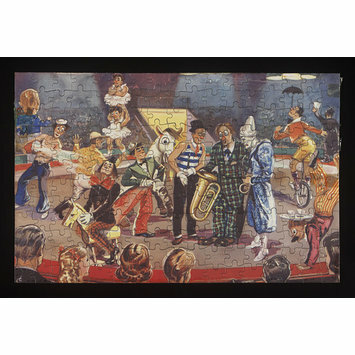 Printed paper covered cardboard jigsaw puzzle for Bertram Mills Circus, Great Britain, 20th century. 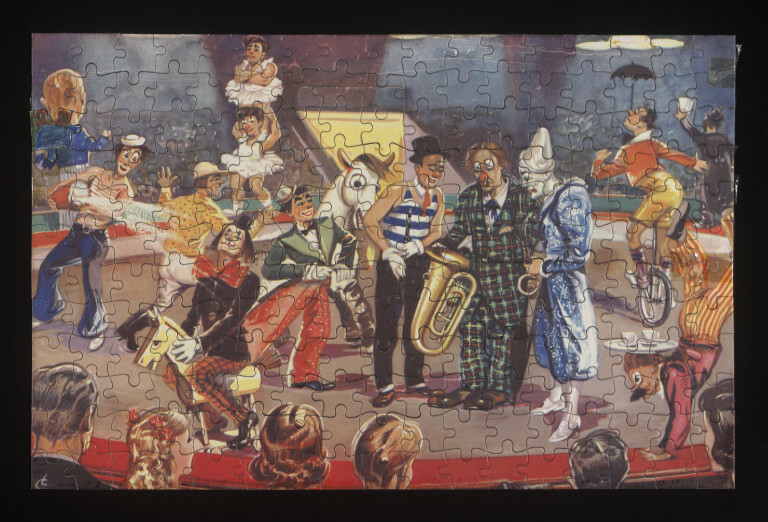 The puzzle features a mixture of circus performers including clowns and acrobats.